Pamela Uncles is a lifelong animal lover. She has always enjoyed psychology and analytical problem solving. She received her Bachelors degree in psychology from George Mason University in Fairfax VA and her Masters degree in Counseling Psychology from the University of California, Santa Barbara. Her graduate program focused on cognitive behavioral therapy practices in group and individual settings. Her career as a counselor began in California, working with residents in a residential psychiatric program, providing counseling and guidance toward the residents’ goals of independent living. She later supervised the counseling intern program there. Since then she worked in two corporate settings using her listening and problem solving skills to help the clients resolve challenges and difficulties in a productive way. Pamela joined Companion Animal Behavior in 1999. 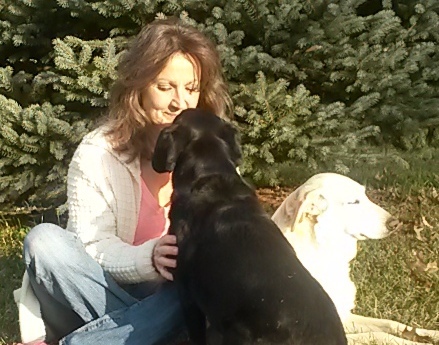 She enjoys providing guidance and support to her pet family clients. Her work with Companion Animal Behavior has allowed her to combine her experience and skills helping people to understand their pets’ behavior problems, as well as how to make necessary changes to benefit everyone affected. Companion Animal Behavior’s clients’ devotion to their pets, despite challenging behavior problems, is a continual source of inspiration. She lives in Fairfax County, Virginia, and her family includes two rescued dogs and a rescued cat. Pamela continues to attend animal behavior conferences and seminars when she can, with presenters including Karen Pryor, Ken Ramirez, Susan Friedman, Nicholas Dodman, Ian Dunbar and others. She has given presentations for the Feline Focus Committee of the Montgomery County Humane Society and the Animal Welfare League of Montgomery County; as well as specialized programs for Lamaze Instructors on Bringing Baby Home to Your Pets. She is certified through IAABC and is a professional member of APDT. Pamela will also do informational sessions at local pet-related businesses. You can contact Pamela at 703-327-7205 ext. 5 or at pamela.uncles@verizon.net or use our easy contact form. I Need Help With My Pet. Are there children or other pets in your home? Is Your Pet a Rescued Pet?